Long established Heming Group, which has been trading for nearly 50 years, has been awarded a key contract to provide the groundworks at a well-known Evesham site set to become a state-of-the art £6.6 million care home.Family run Heming Services Limited, part of Heming Group, won the prestigious contract after beating off competition from several other civil engineering contractors. The contract was awarded to the company – based in Willersey, near Broadway – by Shropshire-based Beneficial Contracts Limited (BCL). The innovative design and build construction company is run by, Matt Whitthread, who has consulted on a host of TV programmes such as ‘Grand Designs’ and ‘Honey I Ruined The House’. The 69 bed luxury care home, due for completion in January 2017, is being built on the site of Evesham’s former ambulance station at the junction of Davies Road and Cheltenham Road. Designs for the scheme, submitted by Surrey-based Restful Homes Group, include a cinema, restaurant, bar and a hairdresser’s salon. Heming Group, which has more than 40 employees, comprises Heming Civil Engineering and Construction Contractors, Major Building Services, Ford Electrical and Heming Agricultural and Plant Engineers. The company recently announced it was moving into domestic plumbing services and creating five jobs. Heming Civil Engineering and Construction Contractors has extensive experience in providing groundwork, construction and civil engineering services to clients across the midlands. With a wide range of equipment at its disposal, the company can work on all sizes of site from household groundwork to large construction sites. 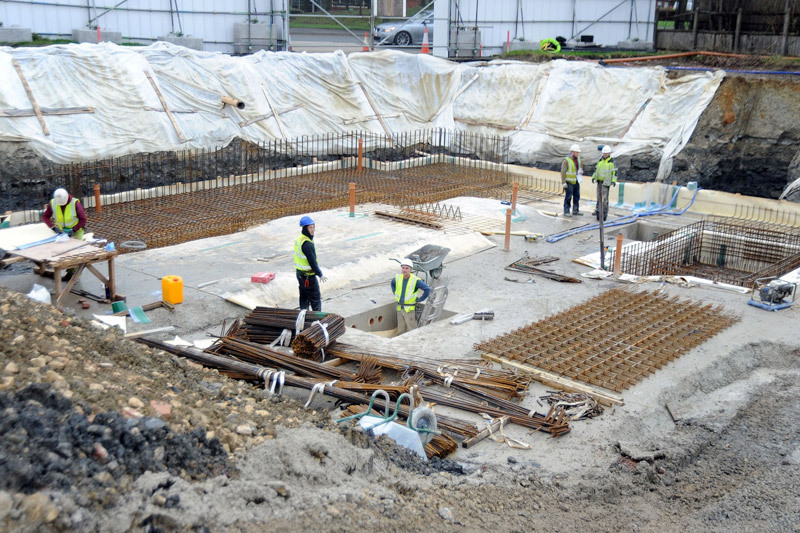 It can carry out all infrastructure groundwork up to DPC (damp-proof course) for developers.